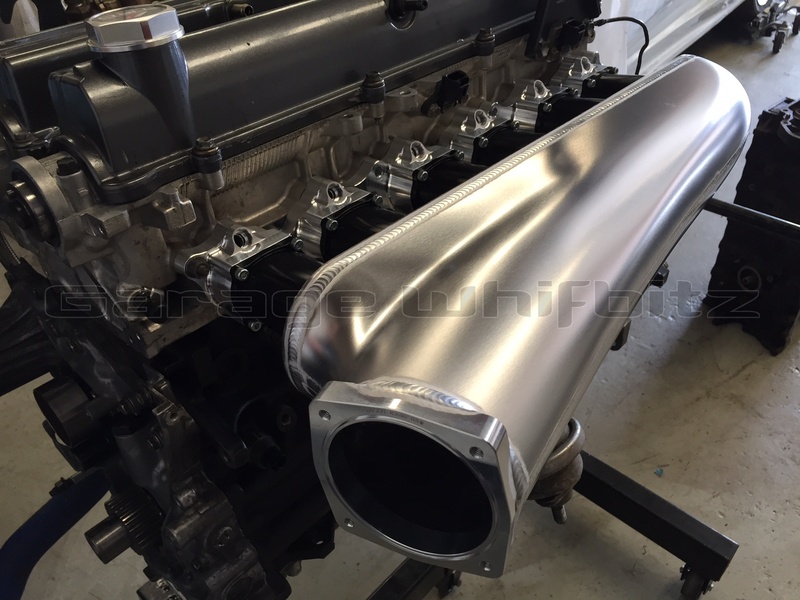 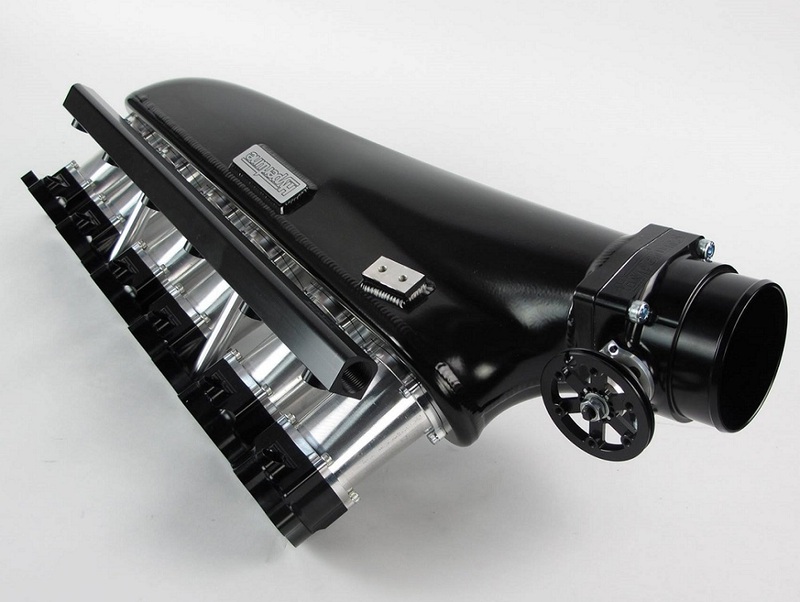 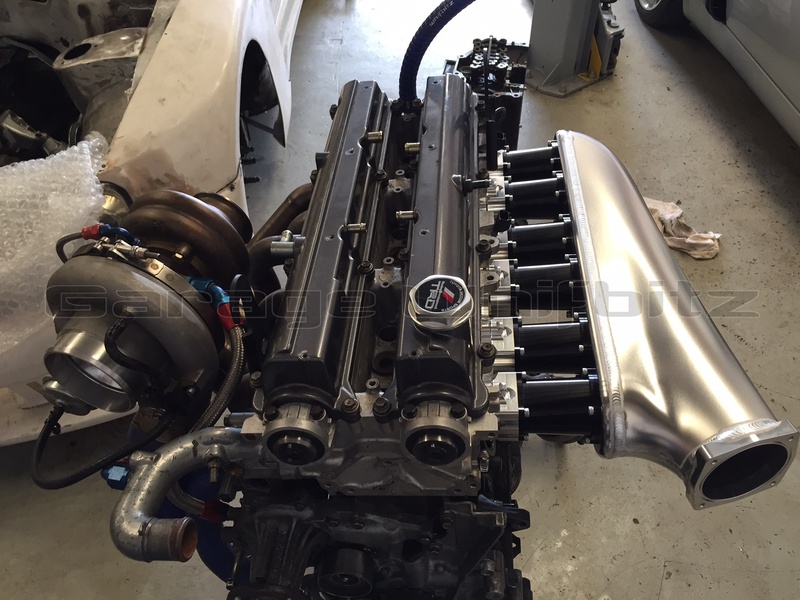 Hypertune 2JZ Stock Port inlet manifold with 6 injector fuel rail. Intended for applications where a standard sized cylinder head port are used, this manifold will provide excellent mid range torque whilst also dramatically improving top end power making it an excellent choice for time attack (circuit) or any application up to 1000hp. 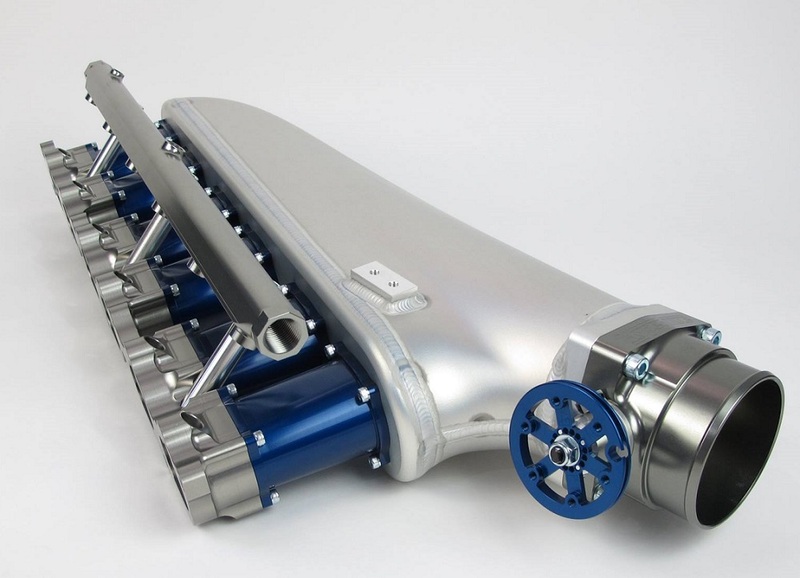 It is worth noting that before the introduction of the big port manifolds, this product was dyno proven to over 1500hp in unmodified form. 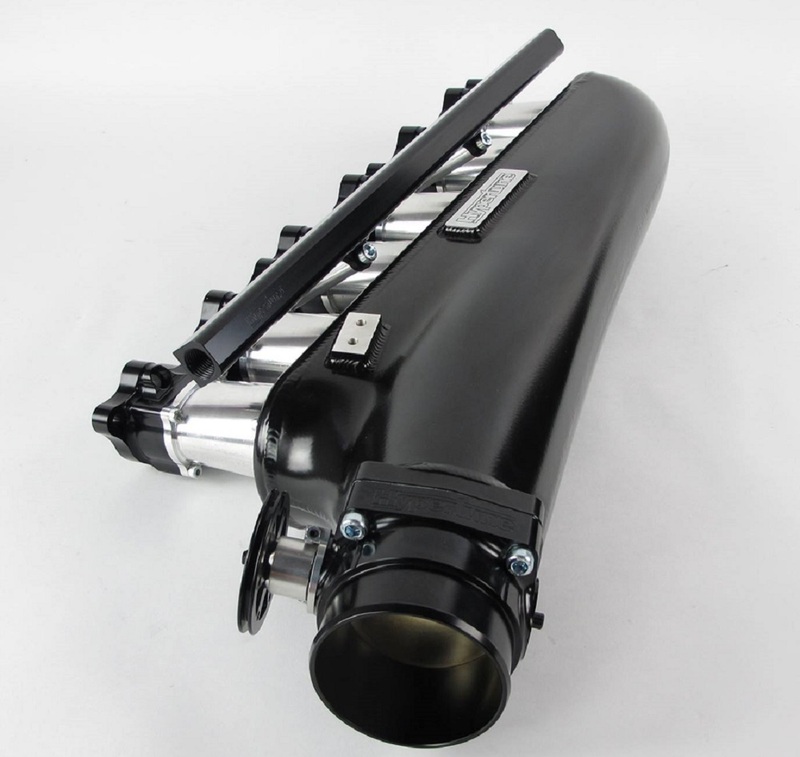 It is recommended that this product be ordered to suit the 90mm throttle body, providing excellent throttle control. 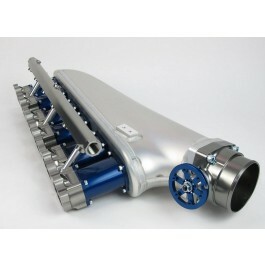 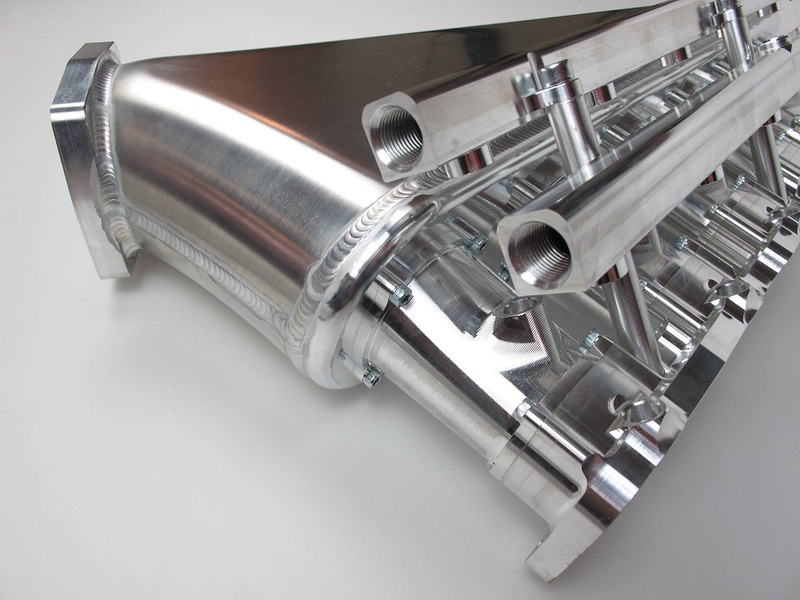 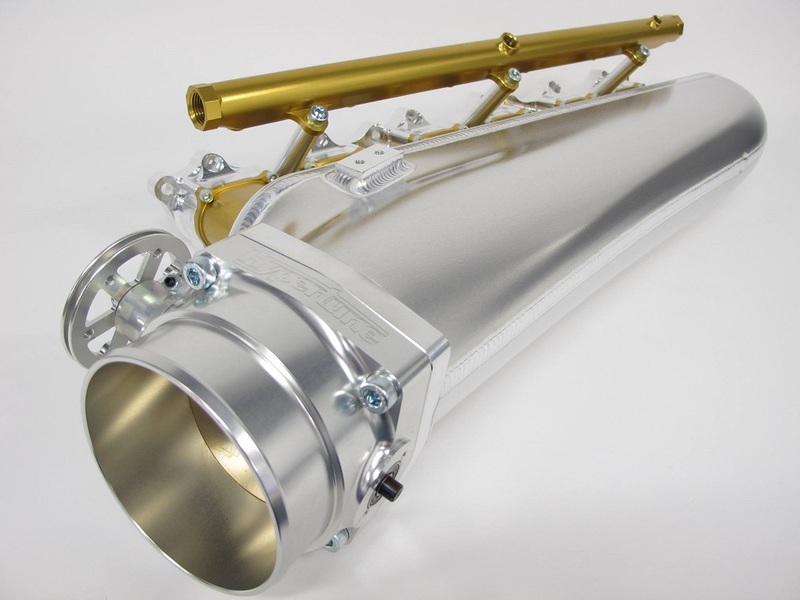 For maximum flow potential, this manifold can also be ordered to suit the 102mm throttle. 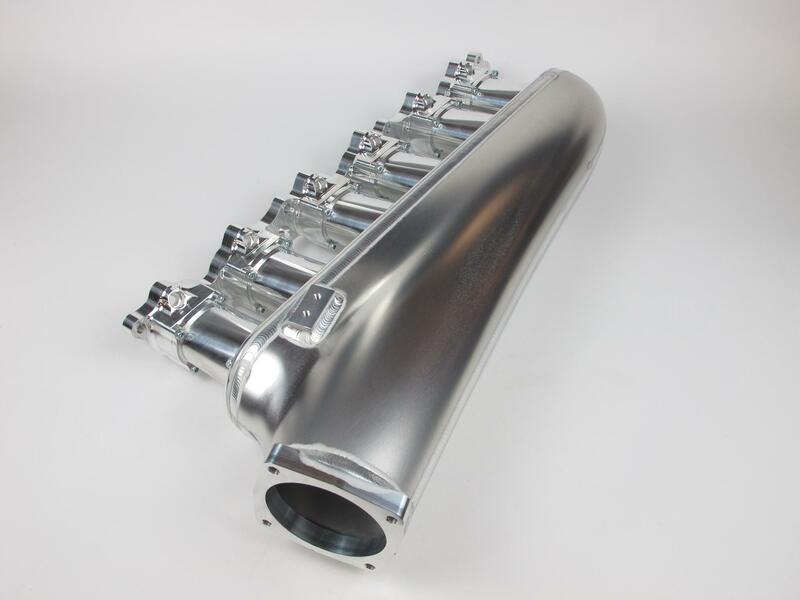 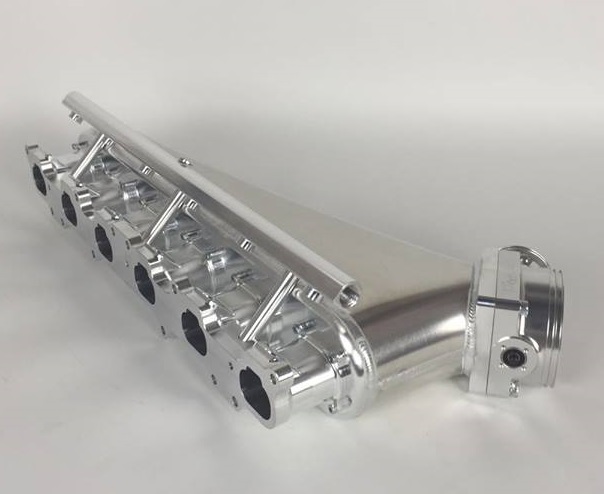 This manifold is only available in 6 injector configuration, all 2JZ manifolds are designed in conjunction with our fuel rails to suit 14mm O ring top feed injectors.